I wanted to squeeze in a Stamp-a-Stack Class before all that jet-setting and excitement....and I wanted to showcase the Retiring In Colors. On this set of cards, I've used all 5 colours. I'm going to miss these gelato tones, especially Coastal Cabana (you all know I'm a blue-green girl!). 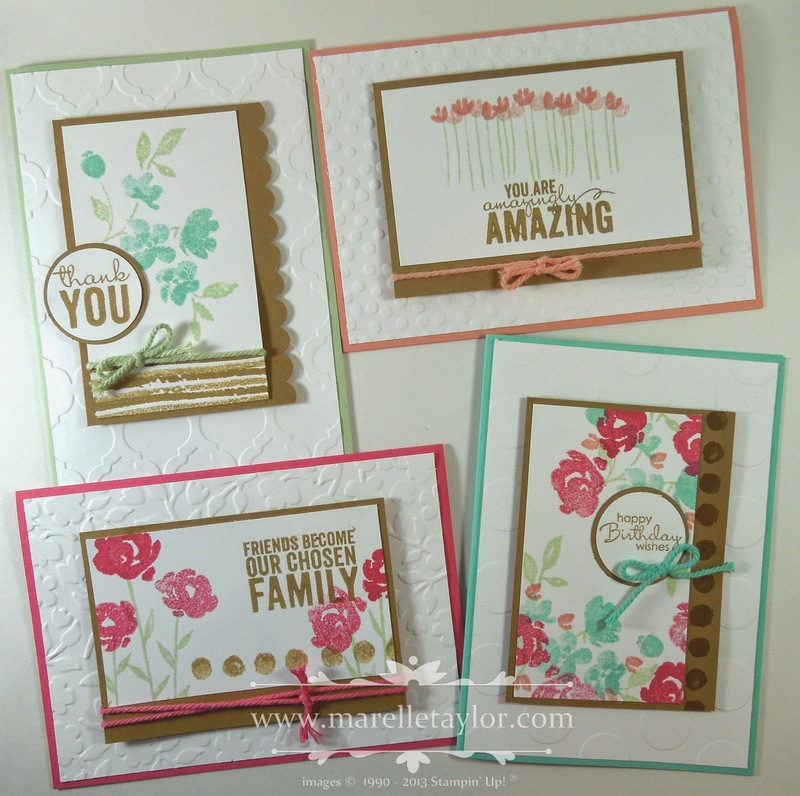 I think these pretty colours work really well with the Painted Petals stamp set. I hope my class ladies this week like them! These colours will definitely be on the Retirement List (released tomorrow) and then will be available only while stocks last. Make sure you stock up on any that you need right away.